Eagles ? Kinda small ones !! well worth the effort , we managed to get up via an old farm lane directly west of eagles Rock. 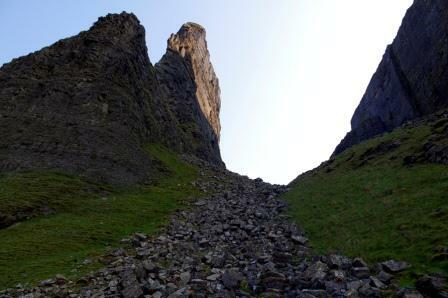 This is an Epic walk , and well worth the rock scrambling near top. We were met by an angry farmer at bottom , who was not pleased with our hobby. alot of rock fall in the valley between two rock faces, high hazard in early spring i would guess.